How To Find Volunteers For Vacation Bible School? How Can I Find Volunteers For Vacation Bible School? One constant struggle in children’s ministry is finding the right workers. 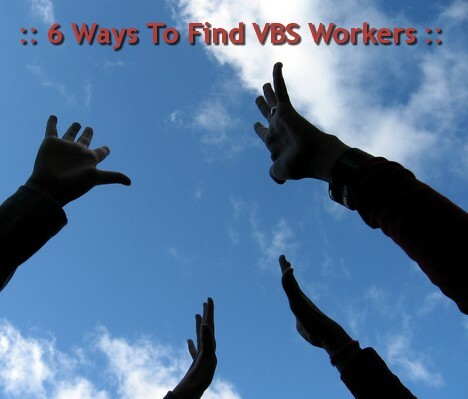 Here are some tips for getting the right volunteers for your VBS program. Most people are more willing to commit, and even work around their vacation schedule, if you ask early. I try to start recruiting in February. It’s never too late, but starting early will make the job much easier. A simple phone call will show that you really do value their service. Once they agree to help, ask them who else they know who would be good to ask. Whenever possible, ask people in person. Sometimes you will have to call, but looking someone in the eye is the best way to know if they really want to help. If someone shows any hesitation, ask questions to find out why. Sometimes, they are afraid to take on the job and simply need more training. Other times, they may be over-committed but hesitant to say no. It’s your job to know the difference and value them enough to not pressure them. We put a volunteer registration form in the bulletin from Easter until one week before VBS. This gives less connected people a chance to get involved. Often people step up who I did not think to ask. Tip: This should be a secondary way to recruit. It shows much more respect to personally invite people to be involved. If your roster is not full and VBS is less than 4 weeks out, it’s time to get serious. Publish your roster-in-progress to show the church where you need help. Ask the pastor to make a special appeal for workers. If the VBS still doesn’t have enough volunteers, you may need to combine volunteer roles. Simplify the schedule and even consider cutting activities. Take care not to “throw your workers to the wolves” because a bad experience will keep them form helping next year. Choose an evening VBS schedule. Normally, you can get more parents to help if you plan your program after they get off work. Partner with other churches to plan a Community Bible School. There are downsides to this, but many churches have partner to provide the best ministry. Plan a simplified vacation Bible school schedule. Having a weekend only program can also allow working parents to volunteer. Limit the number of children that can register. This is a worst case scenario, but sometimes safety concerns will have to come first. Again, I don’t like this option, but it may be needed in some cases. Find a larger church to send a mission team to help with your VBS. If your church is rural and needs outside support, this could be a good option. 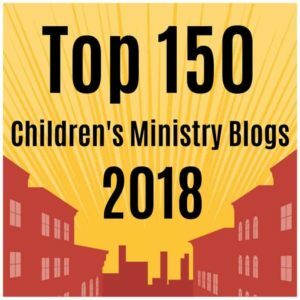 Contact the children’s minister at a large church within an hour drive. I hope you found this article helpful. Please leave me a comment if you have more ideas to share. Need More Help? You can find even more practical ideas on my Vacation Bible School resource page and my Vacation Bible School crafts page. Tony Kummer (Editor) reviewed & updated this page on : July 9, 2010 at 11:17 pm. All our content is peer reviewed by our readers, simply leave a comment on any post suggest an update.